Autumn is here! 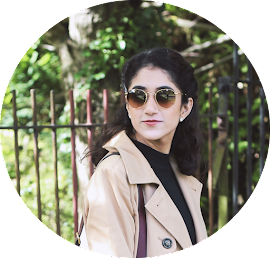 Every blogger is going mad for autumn leaves, autumn fashion and autumn beauty - including myself! I'm not even kidding when I say that I love the colder months... cosy nights in, jumpers and hot drinks are right up my street. I thought I'd share some of my seasonal favourites for autumn. A darker lip is definitely something that springs to mind when I think of autumn. Berries, purples, browns and nudes are my favourite colours generally year round, but especially during the colder months. I also tend to wear more eyeshadow during the autumn season. Earthy tones like browns, golds, copper and orange are definitely colours that scream autumn. I particular like switching it up and adding some rusted red and pink. The Zoeva Cocoa Blend Palette and Naked Palettes are my current go-to's for a warm eye look. Wahey, it is jumper season! I love wearing jumpers and knits because they are basically like wearing a blanket or dressing gown (but it is much more socially acceptable!). I love how jumpers these days are not restricted to simple styles, although a classic jumper is a staple. In particular, I really like the frill trend being incorporated into jumpers. I also love turtle necks and roll necks when it comes to this time of the year and having a variety of thin and chunky knits in my wardrobe is great for the slightly warmer days but also preparing for the nippier days. Of course I'm looking forward to the abundance of crispy leaves in beautiful shades of burnt orange and warm yellow! I love how pretty it looks. Nature in autumn is especially beautiful and very inspiring in terms of reflecting on fashion and beauty trends. Also cosy nights in, under the blankets, watching Netflix (I did this throughout summer anyway) with a hot cup of hot chocolate or tea. Mmmm! I love all of the things you're loving for fall. Dark lipstick, and cozy sweaters is definitely a must.